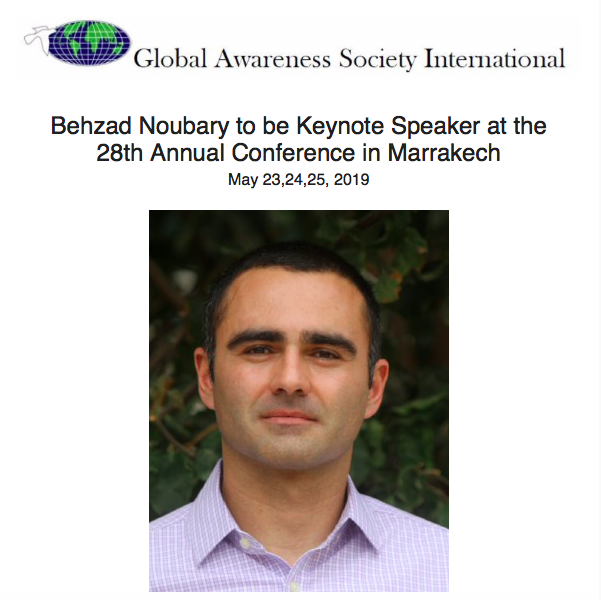 Behzad Noubary has been serving as Deputy Representative of the United Nations Children's Fund (UNICEF) in Morocco since August 2016. Behzad joined UNICEF in 2008, with assignments in New York, Gabon, DR Congo, and Yemen. Prior to joining UNICEF, Behzad worked as management consultant at PricewaterhouseCoopers in the US and served in the Peace Corps in Burkina Faso. An American citizen of Iranian descent born in the UK, Behzad holds degrees from Columbia University and Bloomsburg University of Pennsylvania. In 1995,he received one of GASI’s first Student Scholarships in support of his conference presentation in Shanghai, China. He currently resides in Morocco with his wife and daughter. Sessions are organized into 90 minute periods with 5-6 presentations, so each presenter has approximately 15 minutes to present. All sessions will be held at the Iberostar Club Palmeraie Marrakech on Friday, May 24, 2019 and Saturday, May 25, 2019. Sarah Moore Oliphant (Conference Chair) at sarah.oliphant@unt.edu. In the body of the email please also include: your contact information, professional affiliation, and the thematic track (see above) in which your paper would best fit. The deadline for submitting is February 1, 2019. Please register by visiting the registration page on the GASI website.